So as I previously posted in Let there be more light I added a lamp to my daughters playhouse. I had just used some liquid nail to attach it to the shelf. This did a good job of holding up for a few months until one of her friends decided to use the lamp pull cord as a swing. The lip around the lamp was not that large and the lamp fell. Luckily it fell into the loft and not the entire way to the floor. But a new holding mechanism was needed.. So here is the new way it works. 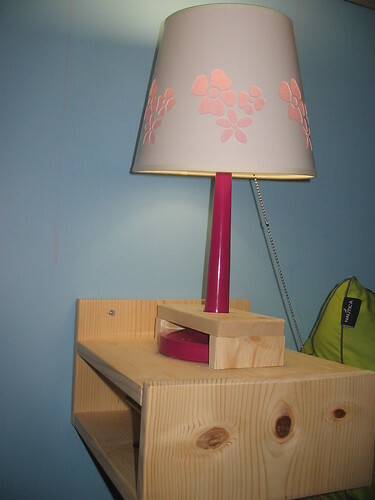 I drilled a hole through the small shelf and put it right down over the lamp then secured all with glue and some clamping. The same gang of kids is here today and so far so good.